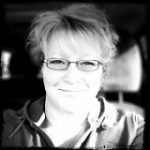 You want to go to a baby trade show and you want to bring your kids. It should be a fun experience for the whole family, right? Well, things don’t always go according to plan with young children. Fortunately, you can follow these 4 rules to avoid a teary disaster. Oh, the wonders of snacks. When a meltdown is immanent, a quickly offered pouch of goldfish crackers can steer event the crankiest child back on course. 2. If you have toddlers, bring a stroller. What’s worse than a tired toddler pulling on your legs? Carrying 25 pounds from booth to booth. Give yourself and your little one a break by having a stroller on standby. Make sure to ask the kids which booths they’d like to visit too. Letting them have some input will help to engage them in the experience! Bring a Mommy friend for you and a friend for your child. Having a playmate with their age can bring an extra element of fun to the show for your child. And it’s the perfect excuse for a Mommy date. Do you live in Calgary, Alberta or close to it? 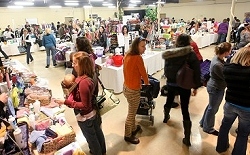 You need to check out the Calgary Moms Trade Fair it is held twice per year usually in March/April or October/November. Please visit our website at www.CalgaryMomsTradeFair.ca for future dates and other information.